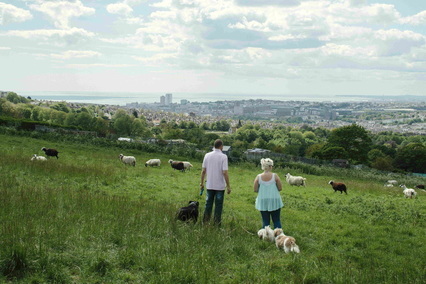 Brighton & Lewes Downs became a UNESCO Biosphere Region in 2014, now threatened by planned cuts. The recent round of floods across the country was another in a series of wake-up calls on climate change. Already we are seeing the impacts of the 1C rise in global temperatures so far, as freak rainfall events become more common and the scale of flooding increases. It is a stark reminder of the impending threat of massive and catastrophic climate change over the next few decades. The floods are an example of how the government’s ideological austerity programme has brought misery and destruction to the country. In the 2010 spending review, the coalition government slashed flood defence spending by over £100m in a single year, and despite one-off high-profile cash boosts, this trend has continued. The Environment Agency’s funding for maintaining flood assets has fallen by 14% in response to cuts. Floods in 2015 alone cost the economy £5.8 billion and displaced thousands of people. Cutting spending on flood protection is counter-productive and hugely damaging to at-risk communities. Investment in flood protection is just a sticking plaster for climate change, and one that will become increasingly expensive as environmental damage outstrips our capacity to mitigate it. What is needed is a comprehensive and holistic approach to tackling the causes of climate change and reducing greenhouse gas emissions. It requires a shift in our way of life towards a greener economy. Thankfully, the international community have agreed to limit climate change to less than 2%. What needs to happen now is to transform those lofty goals into meaningful action. At the national level, the last 6 months have revealed the government’s intention to cut back on environmental protection measures. In the latest spending review we saw cuts to subsidies for energy efficiency, renewable heating technology and home insulation, which comes on top of increases in the cost of renewable energy. We also saw cuts to the Department for Energy and Climate Change and Defra of 22% and 15% respectively. This follows the 2010-15 coalition government which according to the House of Commons Environmental Audit Committee presided over disastrous declines in air quality, biodiversity and flood protection. For central government, environmental protection is just another pocket of national spending to slash and burn. Locally, in Brighton and Hove it is up to the Labour-led City Council to implement these Tory cuts. A role they seem to have taken up with no small amount of gusto, despite strong Green resistance. So far, the Labour Council has switched energy supplies away from renewable sources, refused to divest pension funds from fossil fuels and expressed unwavering support for expansion of air travel at Gatwick. Future plans in the 2016/17 budget include cuts to recycling budgets, sustainability teams and park rangers. Sadly, Labour seem to take the view that the environment is just another service to cut, a middle-class luxury that the city cannot afford in these hard times. When the consequences of inaction are the loss of homes, droughts, sea-level rise and rising food costs, investment in the environment is not a luxury. It is massively short-sighted to think we can wait until we are nearly underwater, when it will be too late to act. It is imperative and urgent that we act now. The Tory Government and Labour Council have it all backwards. The environment cannot be seen as just another service we cannot afford. With such high-stakes, the reality is we cannot afford NOT to act. Greens are calling for a halt to austerity. It poses an immense risk to this city, this country, this planet. We must resist the cuts and demand a greener world. As families in Cumbria, Lancashire and Yorkshire try to pick up the pieces now the media spotlight is gone, they can tell you what climate change costs. If we don’t act soon, we will all be telling a similar story.